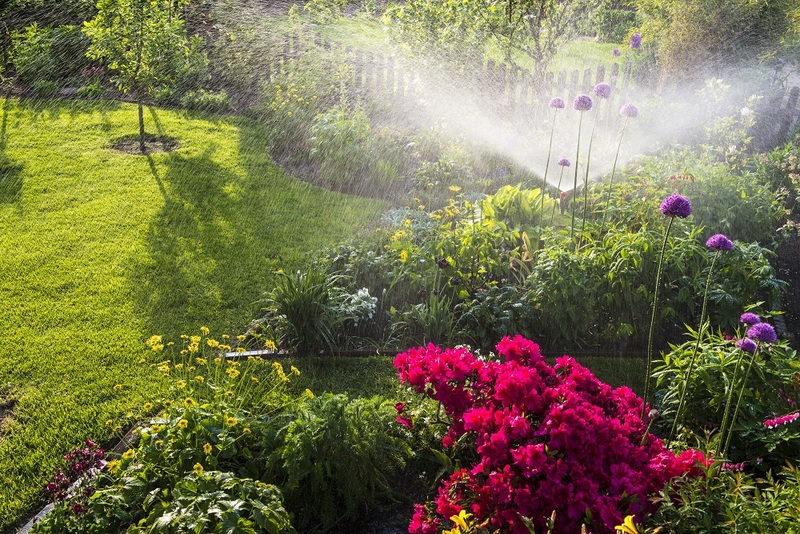 Tree watering becomes very important during the summer, especially for newly planted trees. Learn more below! Summer heat it quickly approaching. It’s up to you to protect the trees on your property through tree watering. Trees that are exposed to exceptionally dry conditions in summer are more likely to have issues the following winter. Young trees are especially prone to this. Trees that are older and more established aren’t quite as fragile but care should be taken to ensure their root systems stay healthy. Here are a couple of things you should think about when caring for your trees this summer. Many people and animals thrive on schedules and trees are not so different in that respect. Tree watering should happen on a fairly regular schedule. A gallon of water is equal to about one inch of rainfall. Watering each of your trees with about a gallon of water once a week mimics natural rainfall so it’s a good way to keep them happy and healthy all summer long. When the sun is at its highest, so is the heat. When it’s super hot, any tree watering done will likely just evaporate away. Trees shouldn’t be watered in the hotter parts of the day. The best times of day to water your trees are either early in the morning or after the sub goes down in the evening, when temperatures are cooler. When you water during the coolest parts of the day, you give the trees their best chance to absorb as much water as possible and the sun can’t evaporate it away. Be sure to keep a healthy (2-4 inches) layer of mulch around the bases of your trees. The mulch aids moisture retention and helps maintain soil temperature. If you’re using a drip system to water your trees, be sure to keep the mulch away from the drip line to ensure water is going into the soil and not just into the mulch. This entry was posted on Friday, May 26th, 2017 at 2:57 pm. Both comments and pings are currently closed.